Mold may serve an important role in nature, but when it takes up residence in your home, it can become a major catalyst for health problems. The risk of mold is particularly prevalent after heavy rainstorms and hurricanes, as it flourishes in areas of trapped moisture. On the heels of Hurricane Michael – and with several more weeks left of hurricane season – it’s critical to understand the dangers posed by untreated mold, and what you can do to prevent them. Ionic and HEPA air purifiers are both very common solutions to many homeowners’ indoor air quality concerns. Both are designed to improve air quality, but do so in very different ways. This means that both types of air purifiers are better at cleaning different aspects of your air. We often think of our homes as a safe haven, shielding us from the outside world. Most people take the air they breathe at home or at the office for granted. But more often than not – even with the many fumes produced from factories and cars – your indoor air quality is much worse than the air beyond your walls. And the quality of that air can have an enormous impact on your health. The food and beverage industry has a dirty little secret…and by dirty we mean gross. Ice contamination is a little known but widespread issue in the hospitality world. Luckily, there are many options for ensuring that your facility is serving customers with the cleanest and safest ice you can provide. In this article, we will discuss what dirty ice is and how easy and cost effective it can be to prevent. Have you ever wondered about the quality of air that you breathe? In some cases, using an air purifier is a near requirement for health reasons, but in others, individuals may simply be looking to improve the quality of the air they breathe. How do you know if you need an air purifier? It’s simple! 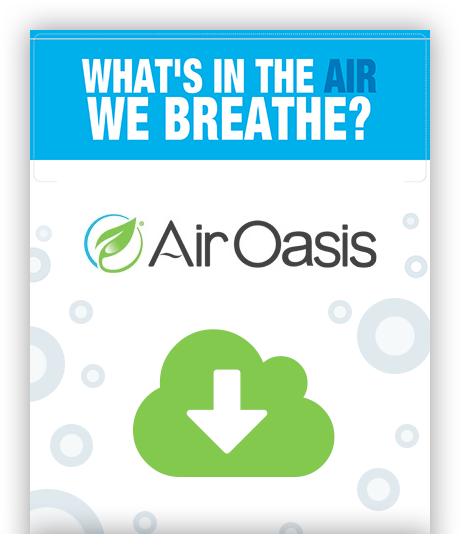 In our free Air We Breathe Infographic, we have compiled the facts you need to learn about the air quality in your home or business. There, you will learn about: How humans breathe and process air Common air pollutants in your home Which cities have the best (and worst) air quality, and more! Let's Start With Those Who NEED Clean Air Those Who Suffer From Allergies People who suffer from allergies are affected daily by the pollutants commonly found in the air. There are many indoor and outdoor allergens that can lower your quality of life, and an air purifier is a good way to remove them. While many allergies are seasonal and are attributed to environmental factors such as pollen from grasses and weeds, dust mites, ragweed, or even mold, there are often no medications available to treat the bothersome and at times life-affecting symptoms. Talking with your customers about their heating and cooling issues is likely something you do on a daily basis. After all, customers come to you for your expertise and trust that you will be able to identify, and resolve, any problems with their heating or cooling system in a cost-effective and timely manner. On the other hand, talking to your customers about indoor air quality might be a new topic for you as an HVAC technician. Fear not, we’ve prepared this effective guide for you showing you the best ways to recommend air purifiers to your customers. Mold, like other fungi, plays a large ecological role, breaking down organic matter such as fallen leaves and dead trees. This function helps to “clean up” the outside world. These functions are great when outside, but without the unmatched ventilation of open air your home can be a breeding ground for mold.